Key members of the international finance department in a large London-based services group needed to adopt new ways of thinking & working. The group was seen as dysfunctional & coaching was the lever selected to address this. However, from a distance it looked like a remedial act, like coaching to an imposed set menu; the agenda was entirely the organisation’s, more ‘table d’hôte’ than ‘a la carte’. If this represents one end of the agenda-setting spectrum, at the other – the ‘a la carte’ end – the agenda is driven by the client (coachee) & reinforced through a strict rule of client confidentiality. A disadvantage of this otherwise enlightened approach is illustrated by the case of the UK offices of a major financial services organisation that made coaching available to all above a certain grade. As the incoming Director of HR said at the time, coach-client confidentiality meant he had little idea about the focus of the coaching & consequently a poor handle on whether the business was getting a return on its (sizeable) investment. Effective coaching will always have goals & an agenda, whether set by the organisation or the individual in isolation. More than this, we know that performance-related coaching has more traction if stakeholders are directly involved. It gives visibility to the process, greater assurance about direction & makes positive sustained results more likely. Stakeholders help negotiate the boundaries and act as a review point. They introduce & represent the interests of the wider system. So coaching that is effectively aligned to the needs of the system as well as the individual will naturally incorporate an external agenda. If that’s the case, why not take a further small step & contract from the start to integrate the three agendas: business, personal & stakeholder? when is agenda-based coaching most effective? 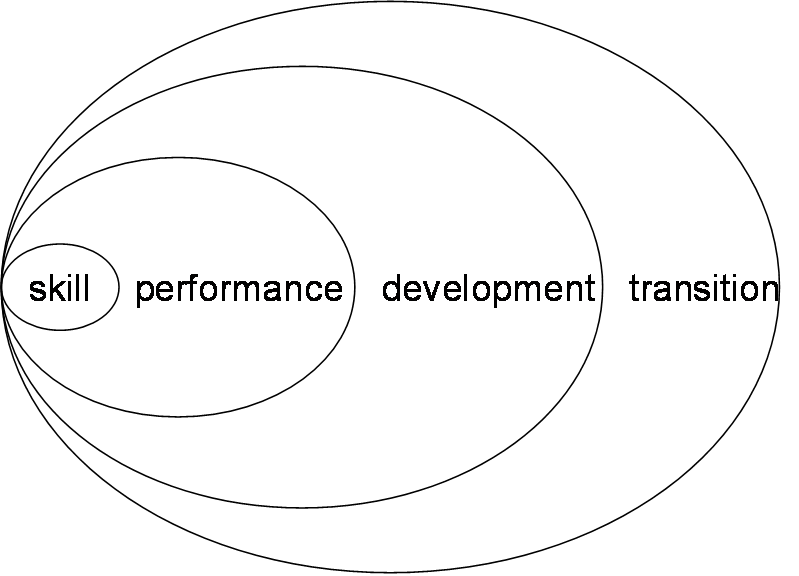 Hawkins & Smith (2007) talk about a coaching continuum addressing four (nested) areas: improving skill; improving performance; assisting development within the existing system; transforming & thinking afresh. The agenda becomes broader & more open the further along the continuum. For example take a senior lawyer transitioning into a leadership/ partner role in a new firm. In the first 100 days he or she frequently values coaching to reinforce business development capabilities and to focus performance efforts. More generally, the very act of entering a new firm in a new role demands that the joining partner develops & adapts what made them successful elsewhere. In all these areas the most effective focus for coaching support will be to integrate two agendas: the new partner’s & that of the organisation they are joining. A couple of years on that partner may well be in a key leadership role, for example Head of Department, at a time when their firm is contemplating radical changes to the way it operates in the face of market trends, de-regulation or possible merger. It is at this point (if not well before) that they value assistance to help transition to fresh ways of working & thinking. Complex, uncertain & open-ended situations such as these need a sense of direction and it is here that a clear, agreed strategic agenda can bring real value. As an example, the emerging thinking & practice surrounding leadership in complex adaptive systems – having to constantly adapt to changes in markets & society is arguably where all professional & financial services firms in particular find themselves – provides an elegant blueprint for a coaching agenda, with the added advantage that the client can adapt & make it his or her own. The following common-sense approaches help when proposing an agenda. Avoid imposition, it encourages the worst type of compliance & results are bound to be sub-optimal especially when working with the most senior leaders. Close involvement in setting & agreeing the agenda is critical. Avoid over-rigid agenda-setting as this is likely to foster resistance, raising potentially legitimate claims that ‘I just don’t work like that’. Ensure there are compelling reasons, perhaps combined with awareness of the implications of staying with the status quo. Without this clients are less likely to accept the effort & open-mindedness that will be needed. This is the ‘burning platform’ argument advanced by the managing Partner of one of the largest international advisory firms some years ago. There needs to be something in it for me. Involvement aids motivation & the ability to negotiate within boundaries mean that clients retain a degree of control. So the way the contract is negotiated with stakeholders is going to be critical. Leadership in complex systems needs a vector. If it is introduced appropriately, a broad yet clear agenda that acts as a blueprint for coaching senior leaders, one that resonates with the surroundings, can have a subtle, valuable – & sometimes surprising – impact.